A blog about regions, cities, development and transportation. Mostly economics. Edited by Gábor Békés. 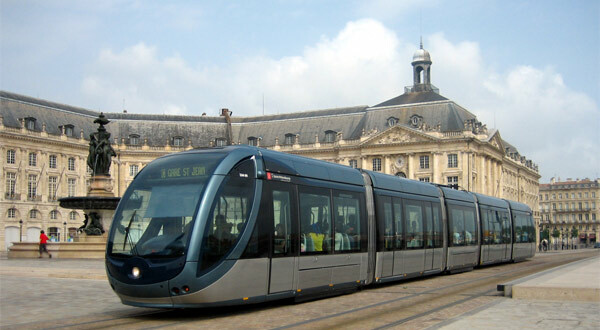 The development of public transport is beneficial for many, France knows this very well as the country has been the world’s frontrunner in the revival of trams in the last couple of decades. This time’s experience shows that tramways are accelerators for urban projects and they can help bring districts and business entities closer together. Currently, twenty-three French urban areas have at least one tramway line, but it wasn’t like that just a couple of years ago. France once had an excessive tram network, but almost all systems were replaced by bus services in the 1930s or after WW2 because of international trends and government policies favoring buses and cars. The revival of trams started in the 1970s with the introduction of a tax in favor of public transport, which helped many cities develop their metro systems. In the 1980s, the decentralization helped the re-introduction of tramways after local governments realized that smaller cities (which are not suited for a metro system) can also benefit from public transport. Trams made their first big comeback in Nantes in 1985. In 1996, the law on clean air and the rational use of energy set urban travel plans the goal of reducing car use. That and government aids helped smaller cities to build their own tram systems. In 2000, another law allowed urban planning to work on longer timescales and a larger spatial scale. This law provided a strong incentive to link urbanization with transport. No wonder that tramways have been experiencing a revival for several years now. Tramways are the means of urban planning which perfectly fit into the scheme of urban renewal, transport planning and environmental concerns. The political choice of building tram lines is firmly rooted in the sustainable development philosophies favored by governments. With the help of trams, city planners can take a new approach to urban mobility and urbanization projects. Building a tramway expresses a desire to renew the image of its city, so trams have also become a tool for promoting a city. Statistics show that tramways increase people’s willingness to use public transportation. Cities with a dense network of public transport systems including tram lines have seen a bigger increase in passenger numbers than cities without trams. This phenomenon can be explained by the fact that the opening of tram lines is usually accompanied by the implementation of a global transport policy to create a better spread across the different means and methods of transport. Therefore, this encourages greater use of public transport and involves restrictions on car traffic and parking. Creation of new cycle routes, mobility management (development of company transport plans, promotion of car pooling and car sharing) and promotion of walking also fit into these tram-building urban plans. Tramways interact with the city in many different ways: they are open to the city and visible from the streets. Architects and landscape architects have realized this, so they took this opportunity and refurbished streets around tram lines. This refurbishment is especially good for crowded city centres, where decades of heavy car traffic usually lowered the quality of life. Tramways therefore greatly transform urban landscape: silence, reduction in air pollution, tree planting, planting on platforms is visible by everybody, not just tram passengers. But not only landscape and people’s attitude is changed by trams. Building a tramway in a city has an impact on businesses both during and after its introduction. Owners of businesses are often initially concerned about the loss of trade from customers who travel by car, but subsequently realize that a more peaceful environment can be profitable for them. In the last decades, France provided an excellent study for the consequences of newly built tramways and feedback demonstrates that after the building and adjusting phases - which can both be very damaging in some cases - businesses overall find that trade returns to previous or even higher levels. Tramway projects usually come with a redefinition of public space, leading to a change of image. This also means an opportunity for owners to renew their businesses. Owners who use this opportunity well can benefit hugely from the introduction of tramways, but those who don’t make the right moves, might experience serious problems. Growth in the service sector is usually a pleasant externality caused by tramways. However, the changes in traffic flow (in customer parking and deliveries) may have a negative impact on businesses which are already vulnerable. Businesses which previously relied mainly on passing trade may also face serious problems. But if the tramway is located in a pedestrian area, businesses in the city centre usually benefit from the flood of pedestrians generated by the tramway. Also, central districts generally attract leisure shopping, leaving more practical purchases to outlying areas, which usually become more accessible with the new tram lines. new metro cars in Budapest.) However, trams designed by other companies such as Bombardier, Siemens and Tranhslor have been selected by some cities as well. All of this proves that tramways are beneficial for many – they are accelerators for urban projects and they can help bring districts and business entities closer together. Regionomist is a blog I started about the role of space in economics. The idea is to write about issues in Europe and around the world about the interaction of agglomeration and development, transportation and business. Like why cities exist and develop or why some regions are richer than others. Or what impact transportation may have on development. How companies decide about where to locate a new plant and how business conditions may affect it. Sure, its mostly economics but we are interested in geography, transport, urban development or even architecture. So far partners include ELTE University and Central European University. Failure of the M3-M30 motorway?